Not bigger - but with more snow, this winter will be amazing ;-)! From 11th until the 13th of December, the Hochkeilhaus opens it`s doors again for the now third SPLIT & RELAX at LIVINGROOM HOCHKÖNIG. 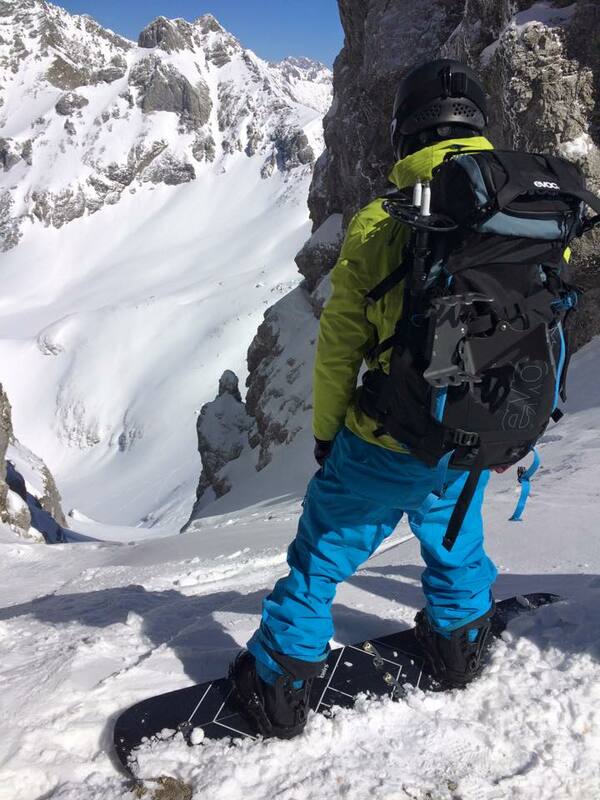 Take the chance to test the latest splitboard material for season 2015/16. The area around the Hochkönig is waiting for you with it`s awesome touring possibilities. Besides testing the newest splitboard equipment, you'll be able to update your snow knowledge and improve your avi-skills. Get to know like-minded people and enjoy splitboarding just before christmas. Thanks to our mountain guides we can offer three packages, to meet your personal needs and offer exactly what you require. The Following Brands already confirmed: Völkl, Amplid, Burton, Rossignol, Jones, Karakoram, Spark R&D, Pogo, Splitsticks, more to come soon! With the "Guided Tester Package" you get everything you can imagine from testing to knowledge transfer. You do practical AVI exercises with the mountain guides and you have the chance to ask everything you want to know while touring. Our guides like to share their knowledge and experience to ease up your entry into splitboarding or to updated your knowledge. You get access to our big pool of demo material and can enjoy the testing. Beside the safety theory you can participate at the AVI exercises and get to know the splitboard material, explained by experienced splitboarders. Everybody will have the chance to mount the hired material by him- or herself. You will organise your touring by yourself with support of locals and info material we are going to provide. You will be informed about the conditions the avalanche level and the great possibilities of the Hochkönig region. Sure the accommodation and half board is inclueded as well as the fun at this unique event. Get your stuff ready and enjoy this unique event to meet like-minded people, to exchange experiences and to learn about the latest splitboard material. Organize yourself and discover the touring region of Hochkönig by yourself (no testing). *Accommodation in shared rooms (2 nights including half board). If you wish accommodation in single or double room, please let us know. It is possible at an additional fee. But be sure we give our best to do an unforgettable event. Info about the area you can find here LIVINGROOM HOCHKÖNIG. The group building will be done at the event, so everybody can find people of similar skills and get the most out of the event. Please enter your splitboarding skills, your riding level and your backcountry skills in the registration form. So we can build groups with similar levels. 19. November 2015 - 16:00— Log in or sign up to post comments. Seit Ihr euch mit "mehr Schnee" wirklich sicher? 8. December 2015 - 14:15— Log in or sign up to post comments.